Double Glazed Windows and Doors sliding doors make your home look modern, bigger and allow maximum light into your home. 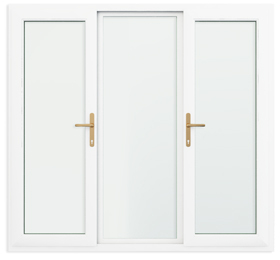 Double Glazed Windows and Doors sliding range is without a doubt more advanced than any sliding aluminium or wooden window you are able to buy. Choose in combination with fixed panels for a breathtaking effect. The sliding door is extremely versatile, and can allow for all panels to slide, and doors can be made to open to the left as well as to the right. 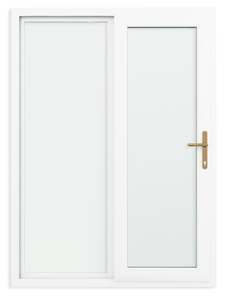 The sliding door is available in 2, 3 or 4 panel format. And because the panels slide, you need'nt sacrifice your indoor space either. They are a more traditional alterinative to sliding doors and have been increasingly popular as a division of dining and lounge or for balconies/patios/backyards - you can ’feel’ the garden in your home. Particularly effective when coupled with Fixed Side Panels to create a large glazed screen. This combination is most commonly used when the home has water or mountain views or a large outside entertaining area. Operational tests are carried out on the handles on the sliding doors itself. This means that, not just the function, but also the durability of the attachment between hardware and window is tested thoroughly. They are given the equivalent of 50 operational cycles a day over a period of 10 years. Neither the sliding doors handle itself, or any part of it, must become loose during the course of the test. This ensures the components Double Glazed Windows and Doors use perform consistenly well, so that our customers enjoy a trouble free use of their windows!